Columbia Records will release the Springsteen On Broadway soundtrack album on December 14, featuring the songs and stories from Tony Award winner Bruce Springsteen's historic 236-show run at Jujamcyn's Walter Kerr Theatre. 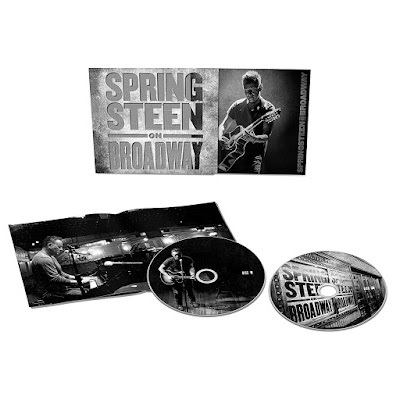 Consisting of the complete audio from the upcoming 'Springsteen On Broadway' Netflix release, the soundtrack album will be available on 4 LPs or 2 CDs as well as a digital download and on streaming services. Listen to "Land of Hope and Dreams" from the 'Springsteen On Broadway’ soundtrack album HERE. 'Springsteen on Broadway' is available for pre-order starting today.